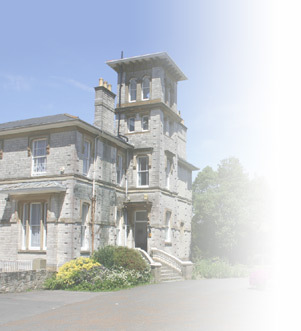 Appley Manor Hotel, Ryde was built in 1850 as a magnificent Victorian residence. Today, Appley Manor Hotel has been extensively refurbished to include all modern comforts and offers you some of the most comfortable accommodation in the Ryde area. Appley Manor is situated on the outskirts of Ryde, and only a short distance from the popular sailing village of Seaview. Ryde's glorious sandy beaches are within a short walking distance. Other amenities within a short distance are Rydes ice rink, 10 pin bowling alley, indoor swimming pool boating lake and town centre. Attached to the hotel is The Manor Inn Restaurant. A wide selection of food is available from 11am through out the day until 9.00pm. As well as the extensive menu the chefs prepare many daily specials. To finish off your meal we might be able to tempt you with one of our many scrumptious homemade desserts. A good selection of wines, spirits and beers are available from the bar. Appley Manor Hotel also caters for conferences, seminars, private functions and weddings. We have private meeting rooms available with buffet food or seated meals available throughout the day. The hotel provides all the comforts you would expect of a modern hotel including all rooms being ensuite, with shower and bath, direct dial telephones, colour televisions and courtesy tea/coffee making facilities.